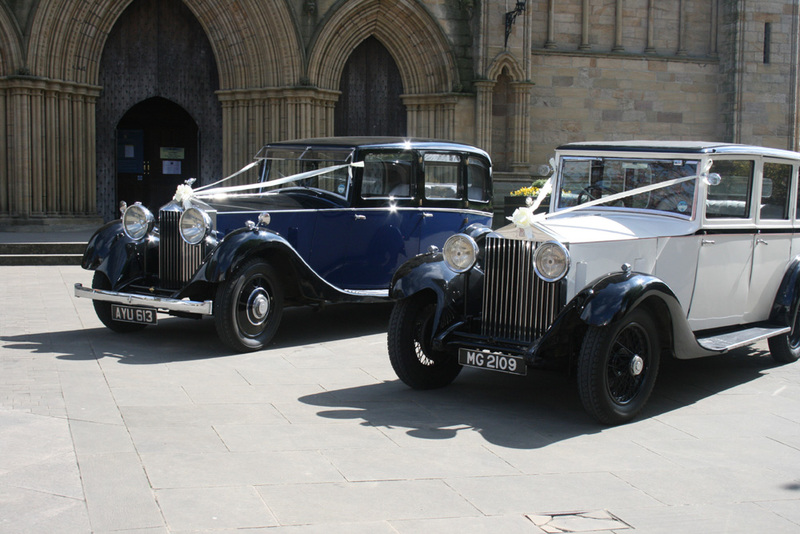 Starting out over 40 years ago, Keith Snowden has built up an enviable position as the leading provider of wedding cars in the Ripon, Harrogate, Wetherby, Thirsk and surrounding areas of North Yorkshire. Providing a professional yet personal, reliable service on your wedding day, he is now transporting the second generation of brides, having transported many brides mothers to their weddings. He has an excellent relationship with staff at all the leading wedding venues in the area including Fountains Abbey, The Old Swan in Harrogate, Rudding Park and Solberge Hall. Over the years the fleet has grown to include saloon cars, vintage cars and pre-war cars and convertible cars. The fleet includes Rolls Royce, Bentley, Jaguar, Austin and Chrysler, in a variety of different colours.